Alexa Shrugged: Gotta love a prince in uniform! HOT - HOT - HOT!!! 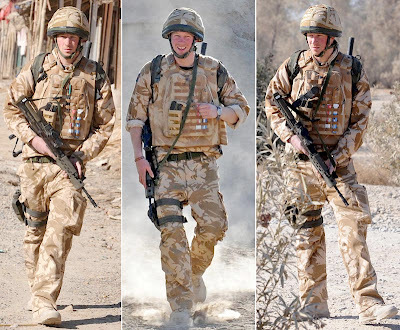 I love men with guns, men in uniform, and men who are royalty - Prince Harry is the trifecta! All hail the hot ginger prince!